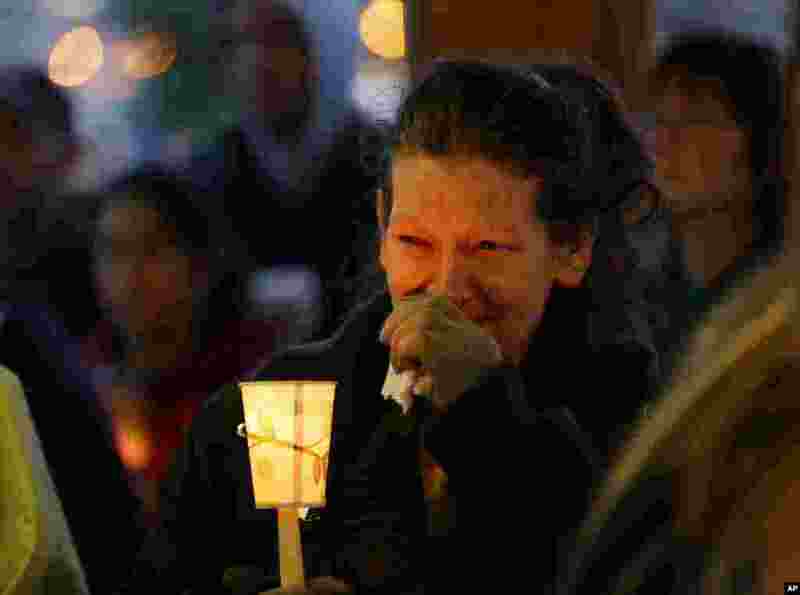 1 Teresa Welter cries as she holds a candle at a vigil for mudslide victims in Arlington, Washington, March 25, 2014. 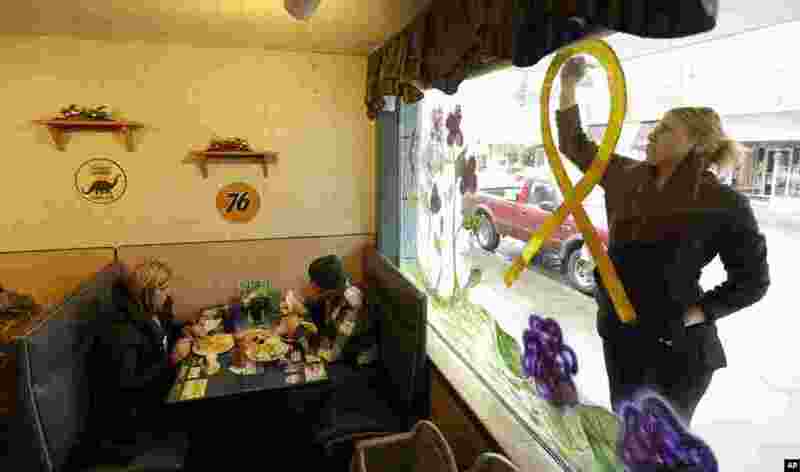 2 Jammi Parris, a waitress at the Blue Bird Cafe, paints a yellow ribbon on the window of the cafe in downtown Arlington, Washington, March 25, 2014. 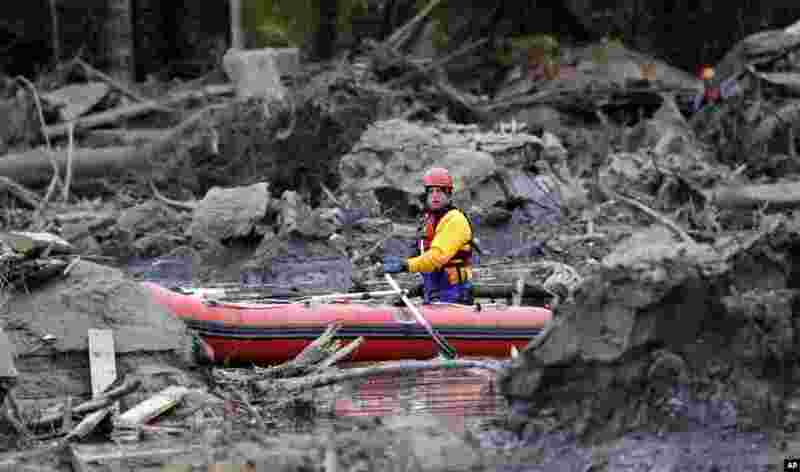 3 A searcher uses a small boat to look through debris from a deadly mudslide in Oso, Washington, March 25, 2014. 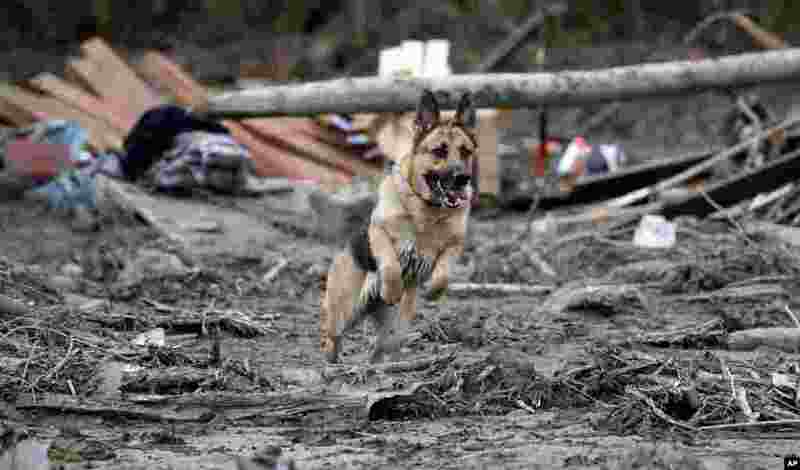 4 Search dog Stratus leaps through a debris field while working with a handler following a deadly mudslide in Oso, Washington, March 25, 2014.